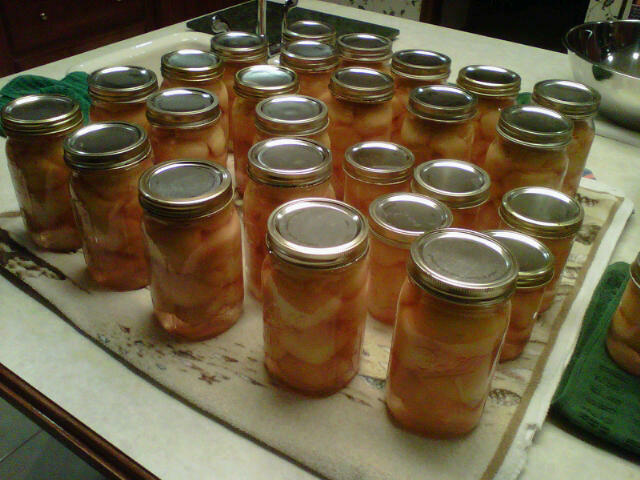 I headed to my parents’ house this morning to spend my Labor Day weekend Saturday canning peaches with my mom. Twenty-nine jars (and several hours) later, we’re done. And very excited to reward ourselves with some home-canned peaches in light syrup for breakfast tomorrow. Happy long weekend, everyone!